i want to do it to mine! love it with the satin finish! Only if theres a reason to, Eg, bad paint work? Rusty Door? if not, dont ruin a perfectly good car, if there is a reason, DO IT !!! they were only in the us mk3 golf harli's wernt they ? yeah man, i think they look cool, but as it's been said they're marmite! rekon if it was done properly it could look nice on a 3 door! all i'd have to do is buy most of the panels and just get the two rear quarters and roof painted properly. how you doing matt you in germany? 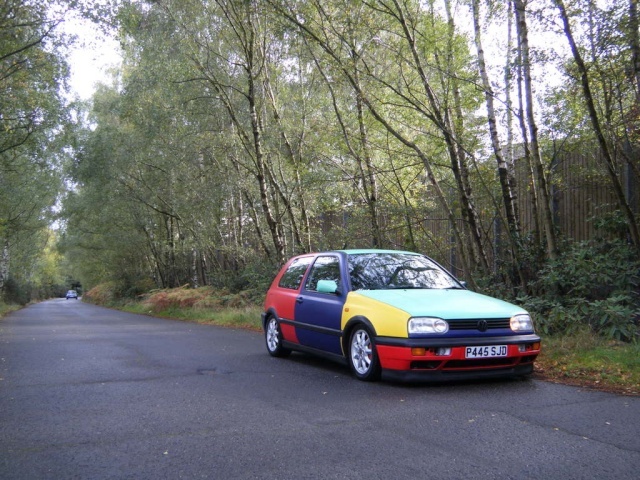 there was a harlequin mk4 polo in benllech on my round was gutted when it dissapeared i wanted it so bad!